A warm welcome awaits you at Stonham Barns Holiday Park whether you are looking to join us for one night or several weeks holiday. We welcome all shapes and sizes of touring caravans, motorhomes, and tents – with campsite pitches available with or without electricity hookups. We have both grass and hard standing pitches available. 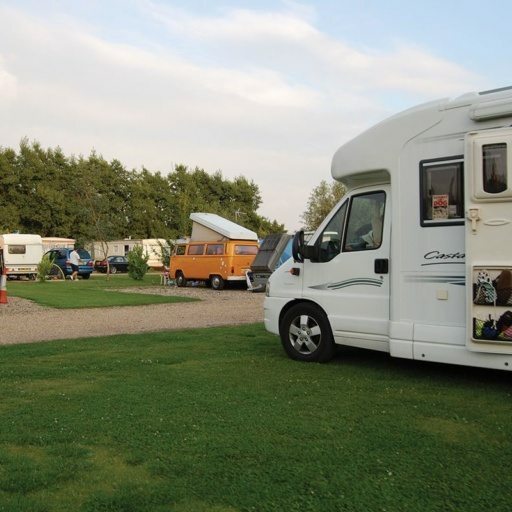 Our campsite is located in a tree-lined corner of the main complex, which is situated on the A1120 tourist route, giving you great access to local Suffolk or Norfolk attractions if you wish to leave the site. The campsite is well laid out. Woodlands, Trees, and hedges divide the site giving a more secluded feel in some areas and some sheltered pitches for tent campers. A good range of on-site facilities is available including toilet and showers, a laundry, disabled facilities. The main complex we have a range of shopping facilities including a camping shop, village stores, garden center selling gas bottles if you get low and restaurant which does a beautiful Sunday roast!! WiFi: 100% coverage cannot be guaranteed due to rural location, weather conditions and changing flora. These can cause variable signal strength. Hotspots are available. Click Here For Prices.